Fastidious frogs prefer their water in pools. 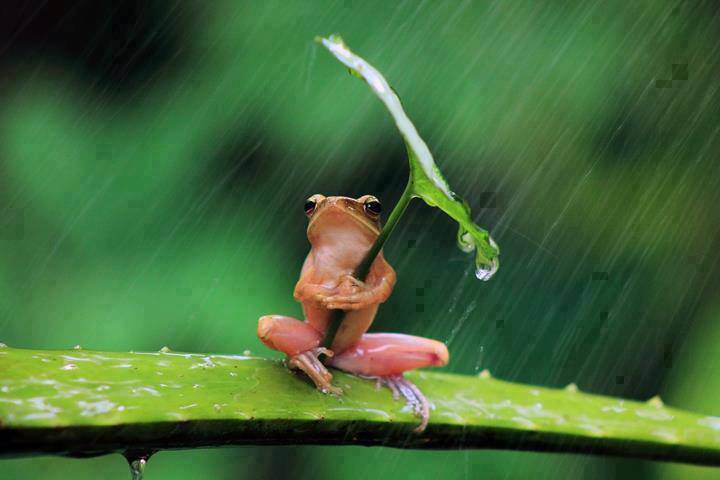 Get your Froggie-Sized umbrella today, and never endure it in air again! This is what you look like when you complain about first world problems. Mr. Frog sat underneath the umbrella, recalling a sweetly bitter memory of Mrs. Frog. The first time they met. He had offered her his umbrella, freshly green, and they shared it on a night much like this one. Just like this one. It was a dark and stormy night.